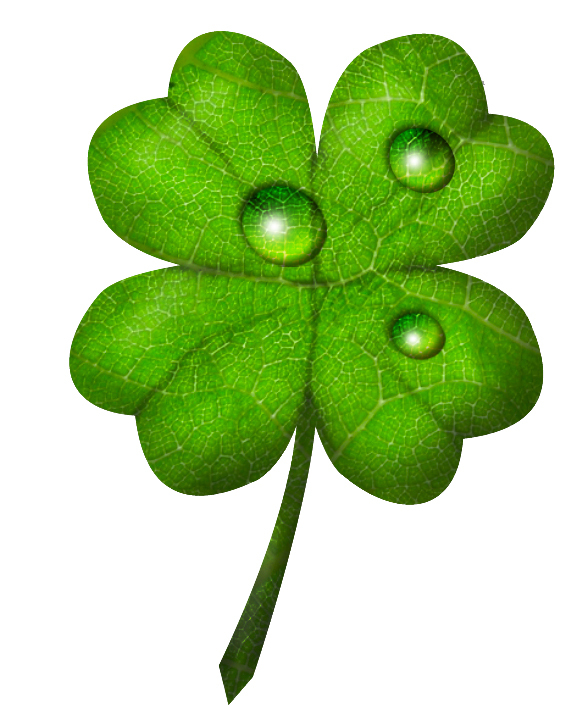 Saint Patty’s Shoe Care- the luck of the Dry-rish. 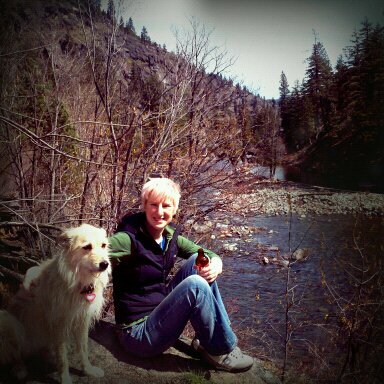 Happy almost St. Patty’s day! 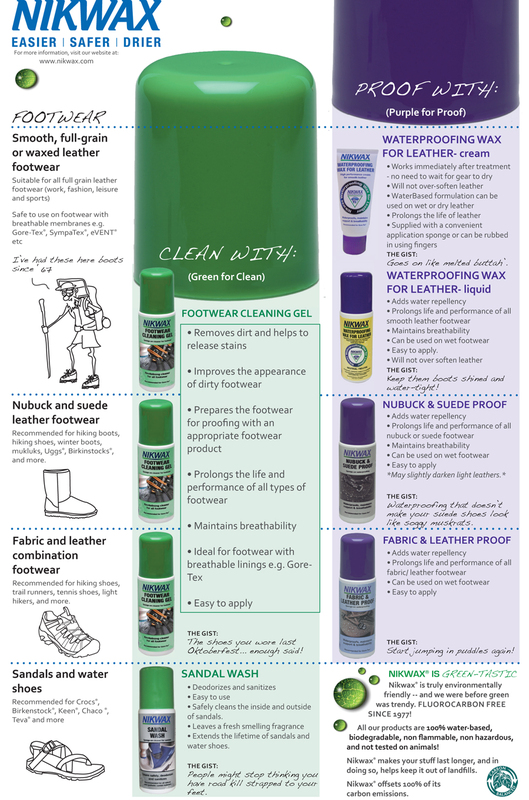 If you’re like us, and enjoy a pint (or two) out in the pubs, we have some advice to help keep your shoes in tip-top shape this year. 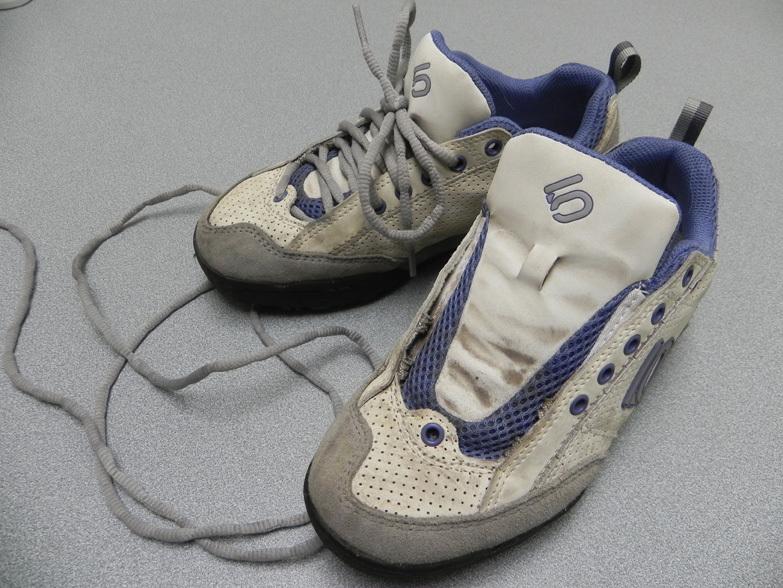 Why shoes? Being veterans of this holiday, we know that anytime you combine a crowded bar with over-enthusiastic alcohol consumption, the danger of beverage spillage increases ten-fold. Of course we’re being optimistic and not considering other things that could, ahem, sully your footwear. May we present, the three-step plan for taking care of your party slippers. 1. Proper footwear selection. We recommend something close-toed, preferably not mesh. If you don’t want soggy feet (or getting your toes mashed by a jigging maniac), wear something appropriate. 2. Pre-clean and waterproof. Prevention is key. If you can prep your shoes so that liquids roll right off, you’ll be happier than a gold-bedazzled leprechaun. 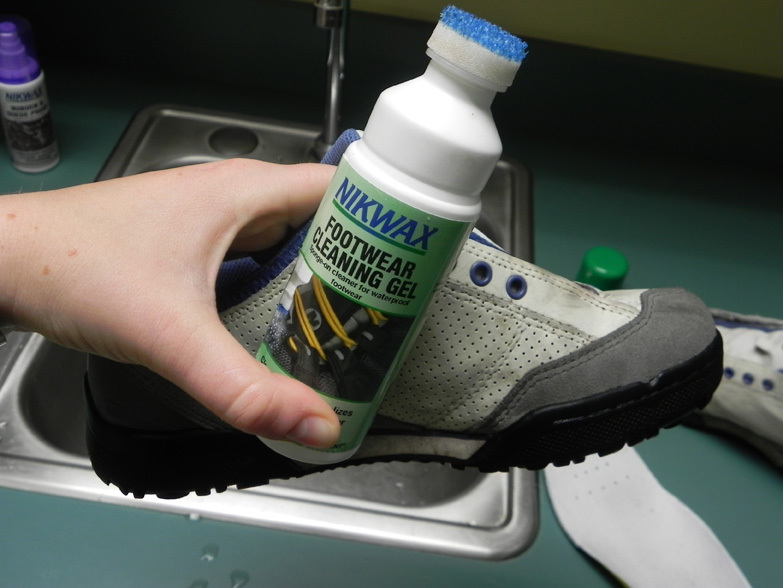 Clean your kickers with Nikwax Footwear Cleaning Gel. 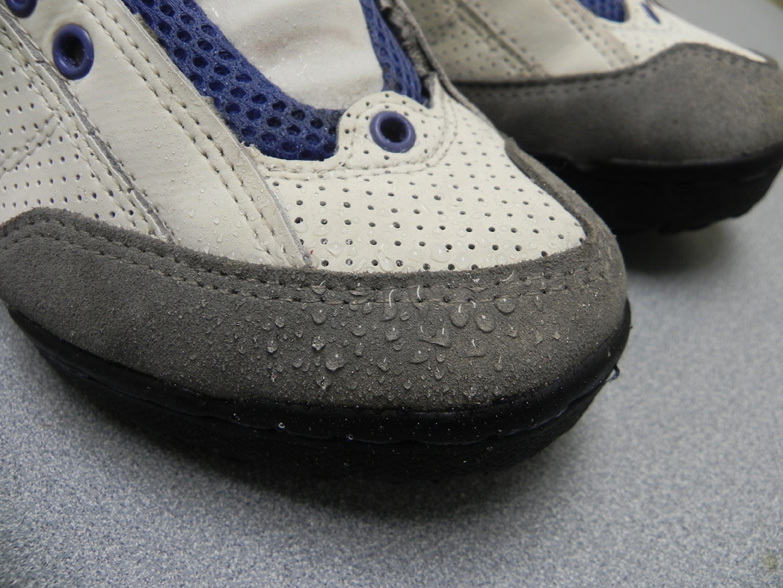 Then, while they’re still damp, follow up with waterproofing. Which product should you use? Check out the chart below to pick the best one for you. 3. After-party cleaning. 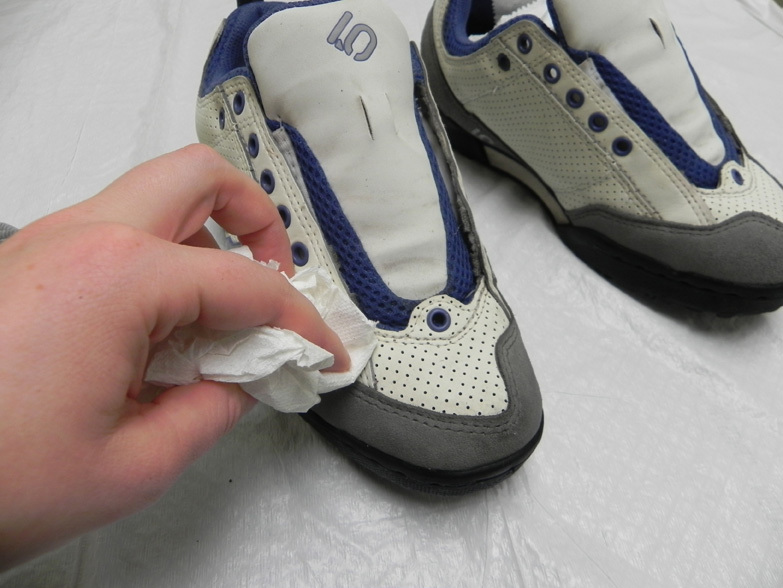 A day or two after the shenanigans are over, when you’ve finally sobered up, give your shoes a good scrubbin’. 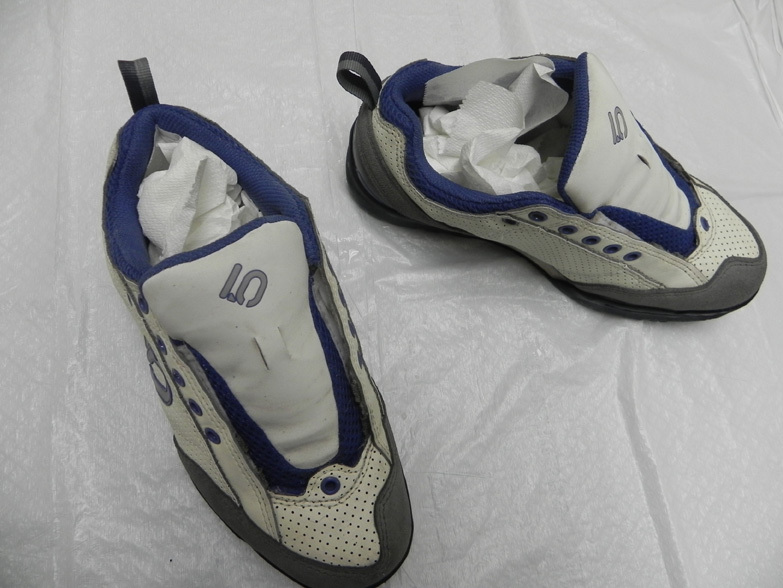 All that sticky beer (hopefully just beer) isn’t good for shoes. 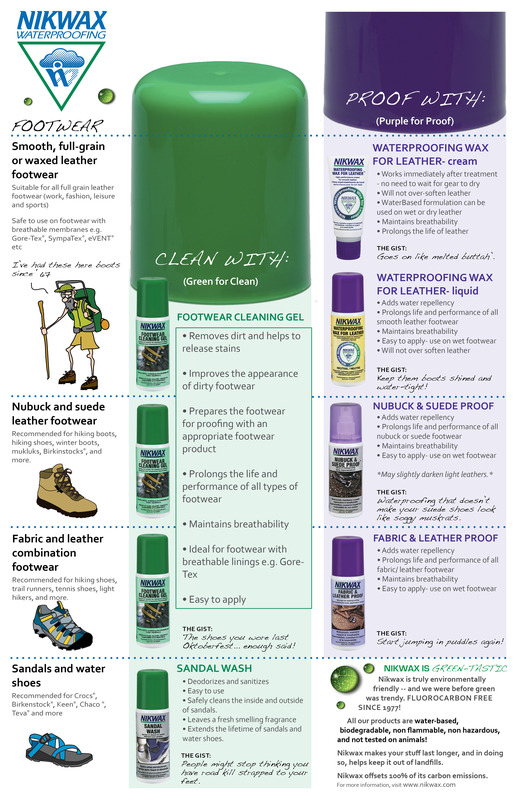 Clean with Footwear Cleaning Gel. 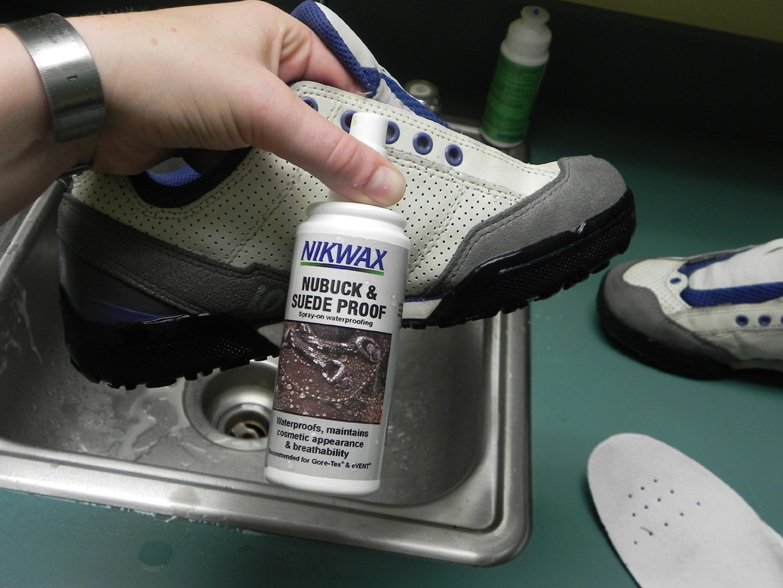 Let your shoes dry naturally (no heat) and voila! 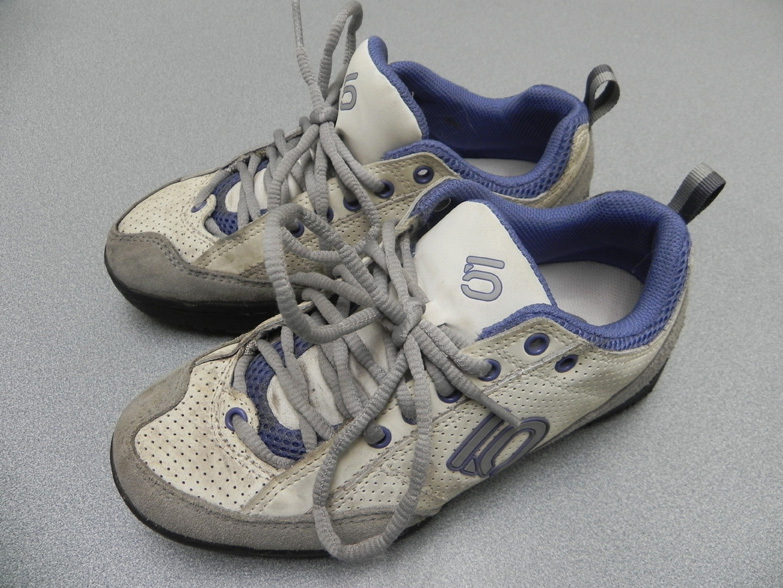 It’s like your weekend never happened… at least for your shoes. 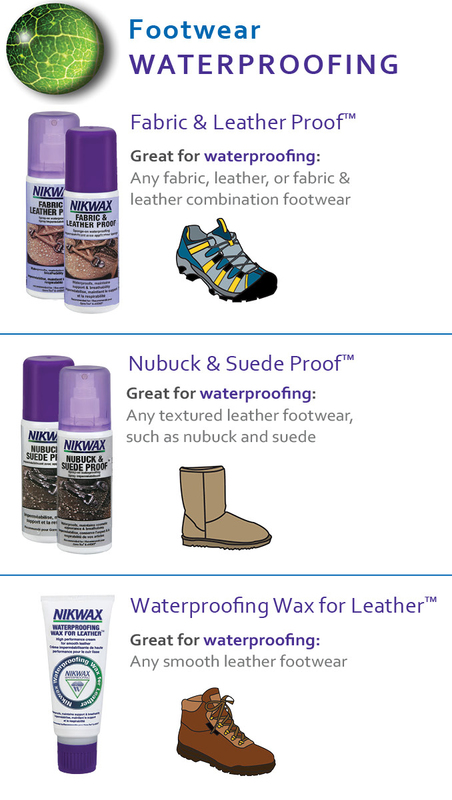 Categories: Gear Care | Tags: Footwear, Shoe, shoe cleaning, Waterproofing | Permalink.